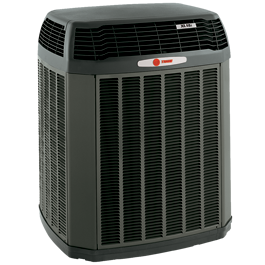 The most important reason for purchasing a Trane XL16i heat pump is that you are able to use it in environments that are exposed to hot and cold weather. It would depend on the season of the year. What this means is that you would have a comfortable home throughout the year. 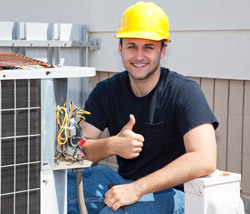 The Trane heat pumps provide you with the most cost effective and efficient way in which to do this. You will find that you would not only save on cost, but that you would also have a home that would be warm in winter and cool in summer. These units are very durable and would give you long service in energy efficiency. Efficient and Economical Performance – The Trane XL16i pump is set up with up to 18.00 SEER rating and its HSPF of 9.20 XL. The unit thus offers an energy-efficiency, for heating as well as cooling. You can therefore be assured that your energy bill will not be high. You would also have the best comfort form it. Durable Construction – All Trane pumps are constructed with components that are tested extensively. The same applies to the Trane XL16i heat pump. This is why the pump has components that are reliable and will provide you with long-term performance capabilities. The Two-Stage Cooling and Heating – The wonderful thing about this unit and that of Trane pumps in general is that they are able to give you conditions that can match any climatic conditions in your home. It prevents the interior to be subjected to temperature swings. Cleaner, Healthier Indoor Air – Added to the climatic conditions is the Trane CleanEffects that would give you a healthy and cleaner indoor atmosphere. 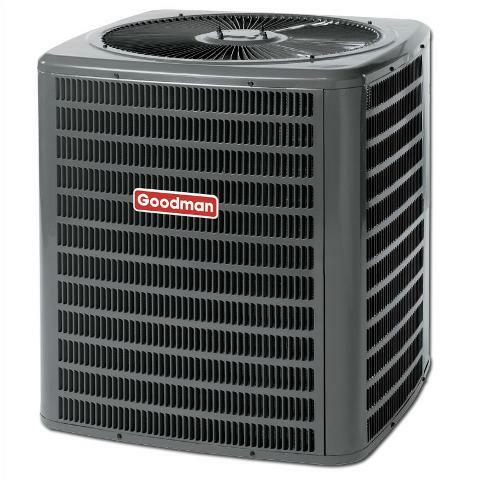 The Trane XL16i heat pump system gives you advanced air filtration. The purpose of it is that it filters the air by removing pollen, dust, and other irritants from the conditioned air in your home. This provides the cleaner and healthier air, which makes your home as comfortable as possible. Efficient transfer of heat or cold is made possible by the two-stage Climatuff compressor. 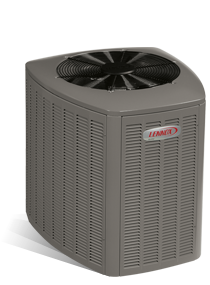 The Compressor Sound Insulators provided with the Trane XL16i heat pump models allow for quiet operation. Check with the sales person, as this is provided with selected models only. The spread of the quality warm or cool air is made possible with the Spine Fin Coil. The aluminum material makes it most effective and its low resistance makes the air flow free and easy. The full-side louvered panels are galvanized and are there specifically to protect the inner components. The unit is sealed off with baked-on powder paint, which protects the unit against rust and corrosion and it also adds to its attractive appearance. 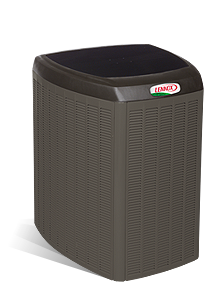 The Trane XL16i heat pump has a Duratuff Basepan that is durable, rust and are corrosion resistant and will also not warp or crack. The Charge AssistT allows for charge accuracy and at the same time enhances the efficiency and reliability of the unit. It is also there to simplify its maintenance and servicing. 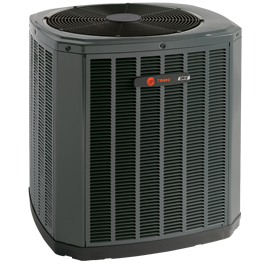 The Trane XL16i heat pump and all of the other Trane pumps come with a warranty. The warranty will give you the assurance that you are able to use the unit with further peace of mind. 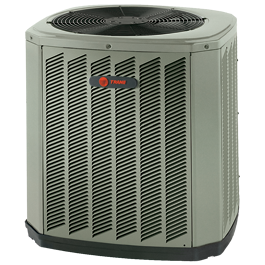 Each Trane heat pump has to have a warranty and you need to make sure that you register your product within sixty days of installation, so that would be provided with a Registered Limited Warranty. The outdoor coil has a ten year limited warranty. All the internal functional parts have a ten year limited warranty as well. Should the sixty-day registration of your Trane XL16i heat pump lapse (if you neglect to do so on installation) then Trane’s Base Limited Warranty terms will apply. Extended warranties, which are optional, are available to you. These warranties could pay for the labor and other costs that are not covered by the normal warranty.